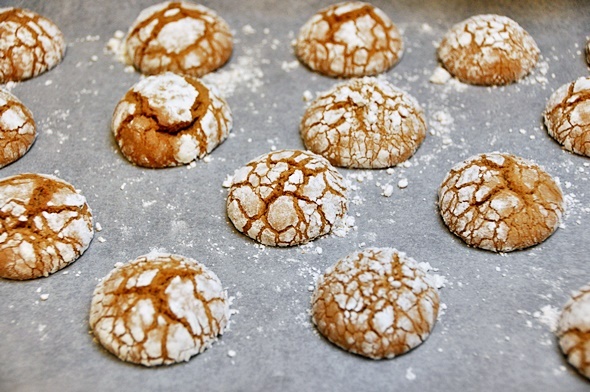 So here it is, my first Christmas baking for the year with these super easy spiced gingerbread olive oil crinkle cookies! 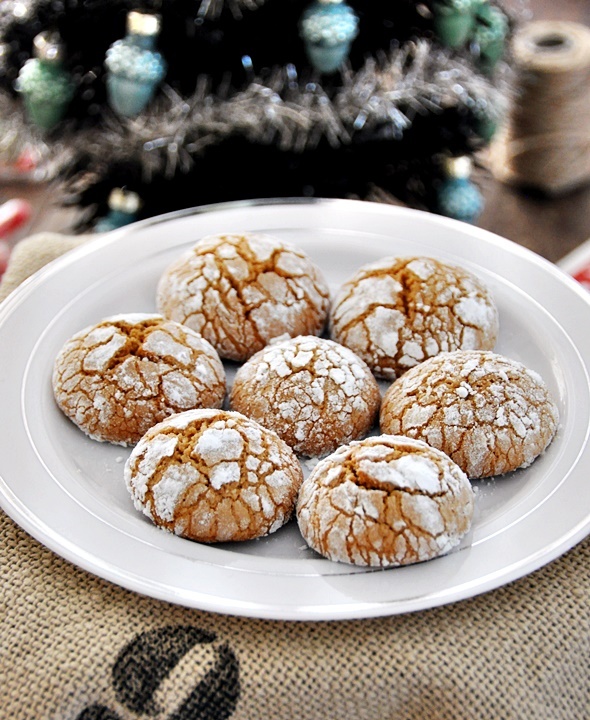 I love spiced cookies this time of the year and these cookies are definitely hitting the spot. I was itching to bake a batch of cookies before bed last night so I tweaked this recipe to accommodate my spontaneous baking desire. You gotta love those late nights baking session hey? You guys probably know how much I love baking with olive oil so this recipe is definitely a plus for those who want to skip the process of softening the butter or on a dairy free diet. Since crinkle cookies are pretty on their own, you can skip the piping of icing which you may need to do if you are making gingerbread man. 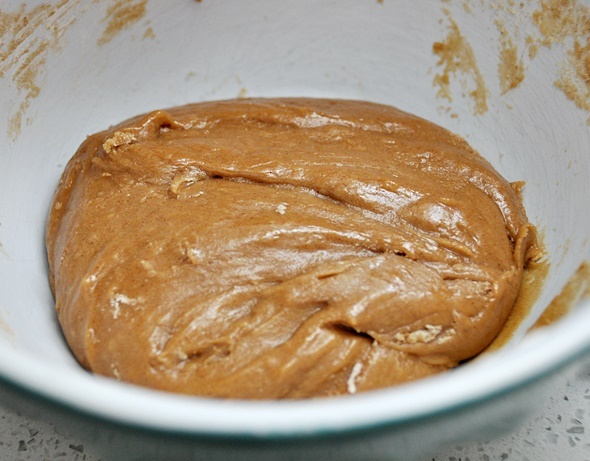 In a medium sized mixing bowl, whisk egg and brown sugar until pale smooth and creamy. Then add in olive oil gradually and whisk until the mixture is well-combined. 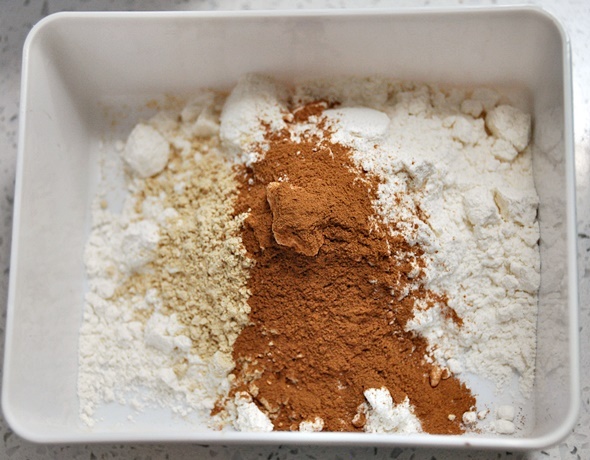 Stir in all-purpose flour, baking powder, ground ginger and ground cinnamon until the mixture is well-mixed. At this point, you’ll notice the dough is very soft and sticky. Refrigerate the dough for at least 30 – 40 minutes to make it pliable. Preheat oven to 160C/325F. Line a baking tray with parchment paper. Remove the dough from the fridge and roll the it into balls (about a tablespoon per ball). Then roll the individual ball in the icing sugar and flatten them very slightly. Make sure that the balls are well coated with the icing sugar. 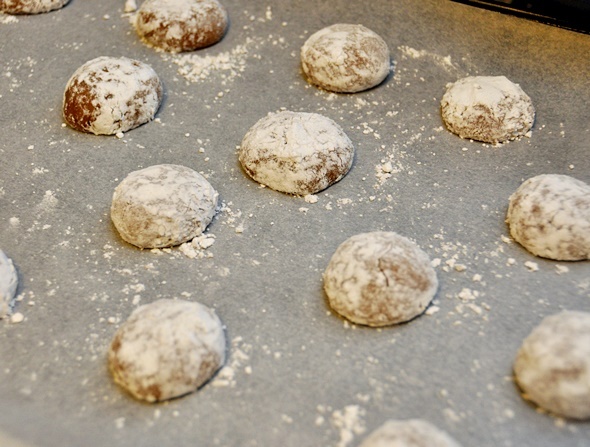 Place the icing sugar coated balls onto the baking tray and bake in the preheated oven for 10 minutes. Remove from the oven and allow the cookies to rest for 5 – 10 minutes. After this time, the cookies will firm up. Keep the cookies in an airtight container for a few days or refrigerate them if you wish to keep them longer. 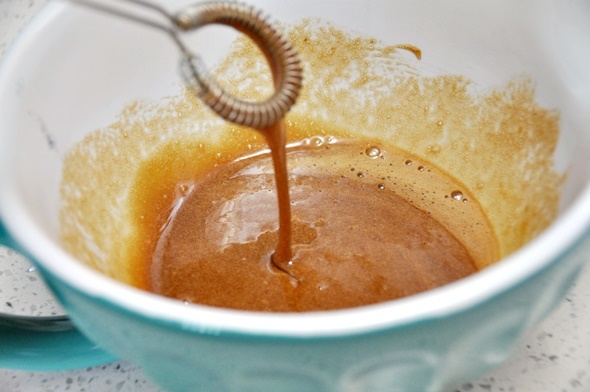 In a medium sized mixing bowl, whisk egg and brown sugar until pale smooth and creamy. Then add in olive oil gradually and whisk until the mixture is well-combined. Stir in all-purpose flour, baking powder, ground ginger and ground cinnamon until the mixture is well-mixed. At this point, you’ll notice the dough is very soft and sticky. Refrigerate the dough for at least 30 - 40 minutes to make it pliable. i like using olive oil in baking. they look great! I agree about olive oil being so much easier/faster to use in baking. Love the look of these too – a huge fan of gingerbread-flavoured anything! Hi – love the look of this recipe! just wondering if the dough can be made ahead of time and stay in the fridge overnight?